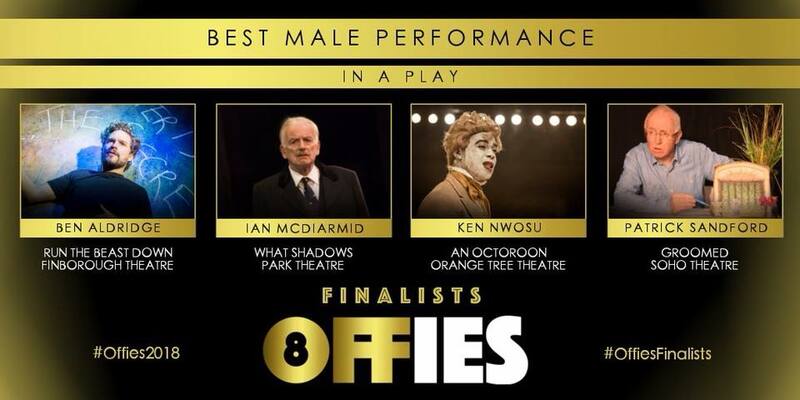 Congratulations to Ben Aldridge for his nomination at The Offies 2018 for Best Male Performance in a Play for his role as Charlie in RUN THE BEAST DOWN. Ben is not only an incredibly talented and dedicated actor but was also a pleasure to work with throughout – fingers and toes crossed for the Awards! 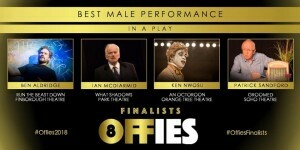 Libby Brodie Productions would like to congratulate everyone nominated and involved in the nominated productions and to thank The Offies and OffWestEnd.com for recognising and celebrating the incredible plethora of talent London theatre offers.